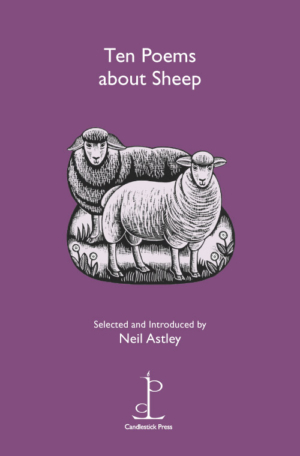 Not for the faint-hearted, these poems highlight the harsh realities of the lives of sheep. They contrast starkly with the popular image of sheep as fluffy and sweet – rather, sheep become the starting-point for our own humanity, and the take-off point for some unexpected fantasies too. Neil Astley is editor of Bloodaxe Books, which he founded in 1978. His books include many anthologies, most notably the Bloodaxe Staying Alive trilogy, as well as two novels featuring sheep, The End of My Tether (Scribners), which was shortlisted for the Whitbread First Novel Award, and The Sheep Who Changed the World (Flambard), about a cloned black sheep who defeats the forces of international terrorism.